Well, perhaps I should call her a secretary-in-training? Cully May turned 8 months old yesterday and came to visit. 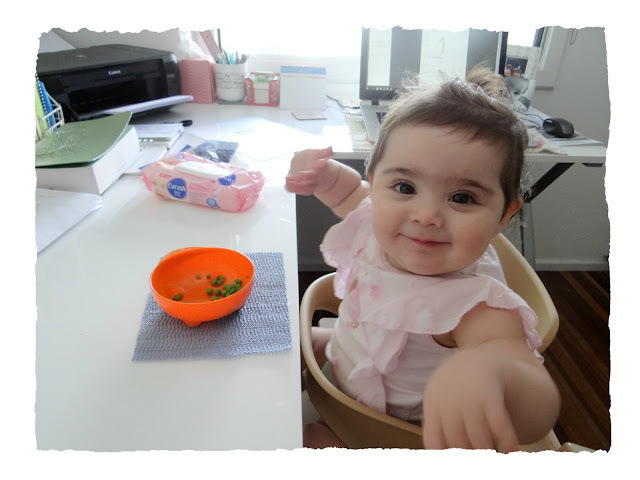 She celebrated her milestone with a bowl of green peas, which she thinks are absolutely delicious! Haven't these past eight months flown by?! Cully May can walk around the furniture now and loves to eat bowls of vegetables her mummy has cooked. Her smile lights up the room and is the perfect tonic to a dull day. She quite simply melts our hearts. If you've been praying for cooler weather in my neck of the tropics, thank you. The temperature is still high during the day, but the early mornings are lovely and moderate! 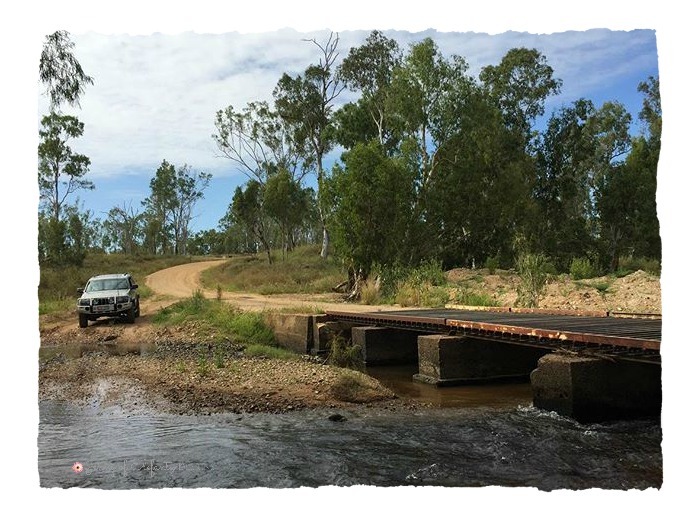 This morning Mr E and I left home just after dawn to drive west and do a little 4WD-ing before things got too hot. 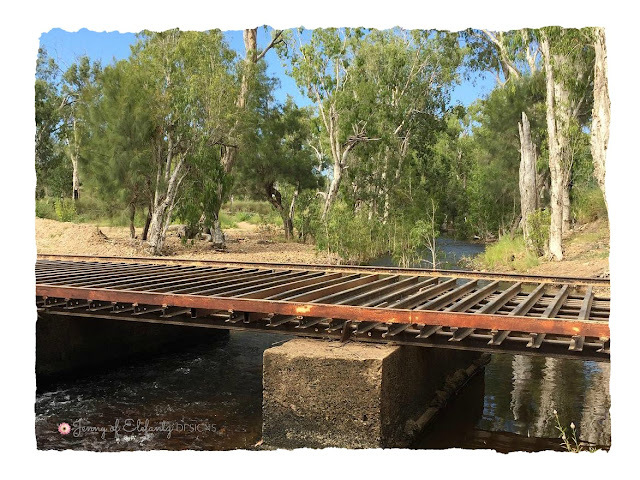 ...with meandering creeks to pass over or through between the many cattle crossings. Being out in nature like this refreshes our minds and gives us time to ponder the present and the future. Two hours later we were home again, and now my beloved is pulling apart the Jeep to install new air conditioning parts so we can travel further afield next week. It's rather handy that before he became a teacher he was a motor mechanic! 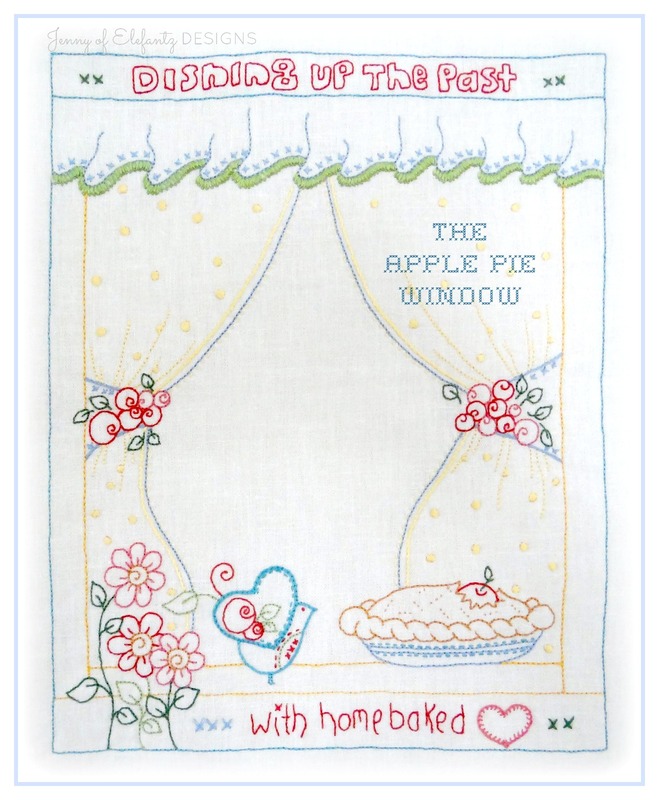 While my love is out in the sun working on the car for the next couple of days I'll be comfortably cool inside writing the patterns for April 17th's issue of The Stitchery Club. This month I've done something a little different by offering a variety of pattern styles. ...and a celebration of those Easter Bonnet parades. 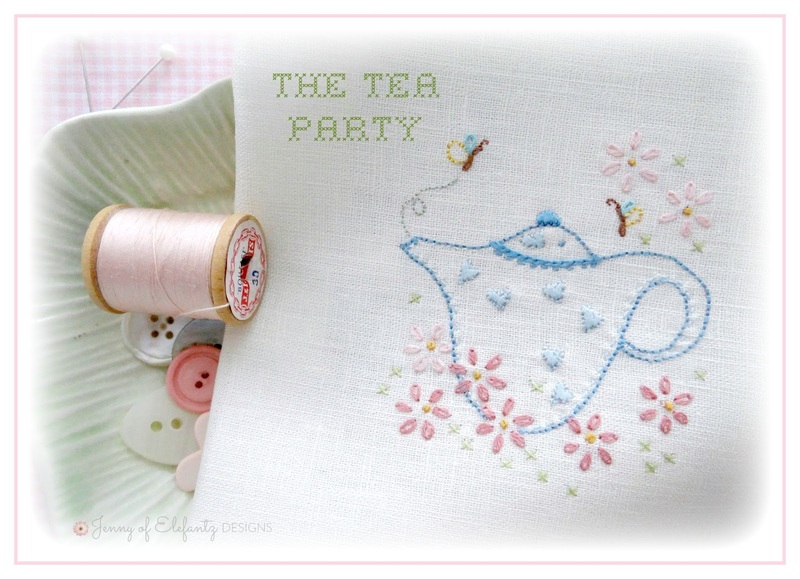 ...and remembered that sometimes a small, sweet, quick embroidery can come in rather handy. ...and as I've never released this pattern before (it featured in Australian Homespun Magazine last year) it just seemed perfect as an addition to this month's patterns. I think the April issue has something for everyone, don't you? If you'd like to join the Stitchery Club in time to receive the new PDF issue on April 17th please visit the webpage here where you'll find all the information and a one-click membership option. 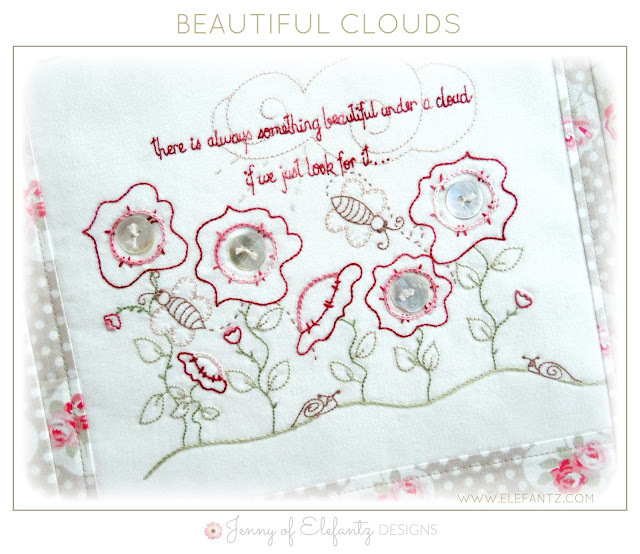 Within 24 hours of subscribing to The Stitchery Club you'll also receive the "Beautiful Clouds" pattern as a joining gift so you have something lovely to stitch while you wait for your first Club issue to arrive via email on the 17th. 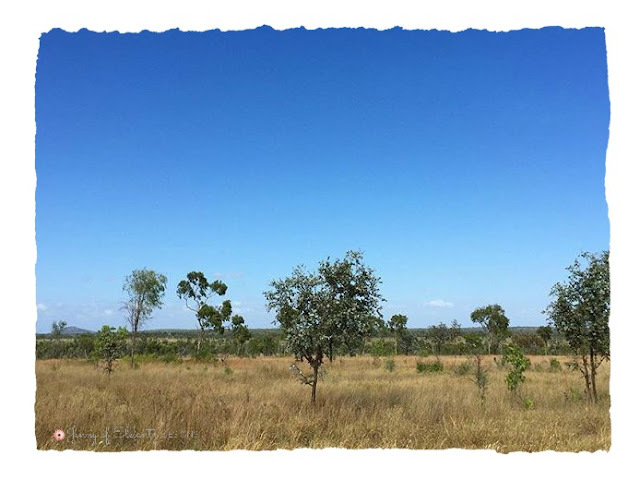 I hope the remainder of your week offers opportunity for some time in nature, a visit with loved ones, or time to enjoy your favourite pastime because it will lift the spirit and fill your heart with joy - and that's such an important thing for each of us. Hi Jenny your Cully May is adorable and has grown up so fast. What a lovely outing you and Mark had,hope you have a lovely day. Such beautiful projects - you are amazing with your creativity. Cully May is so cute and I can see how she brightens everyone's day. Enjoy your nature rides :)! Cully May is so cute. Good to know she loves her vegies. Great that Blossom is back to attending to her new business. 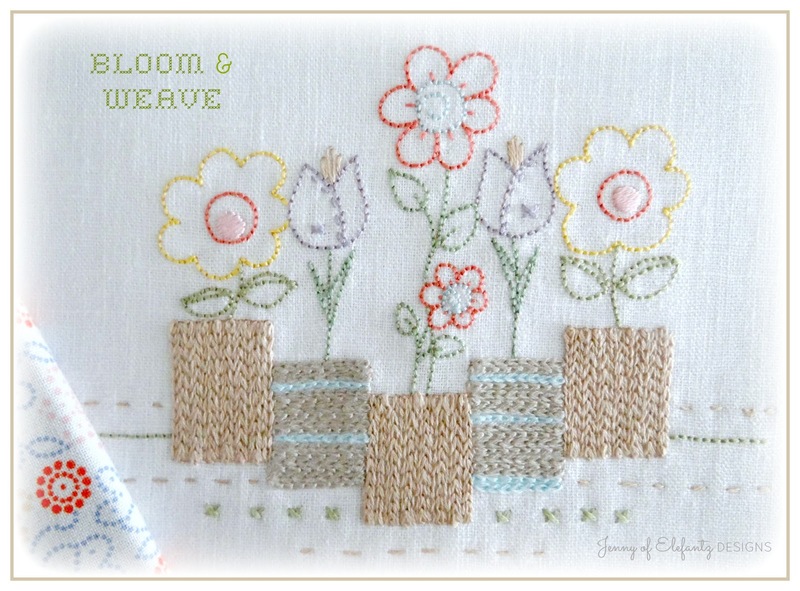 I love those stitches you have used creating texture. 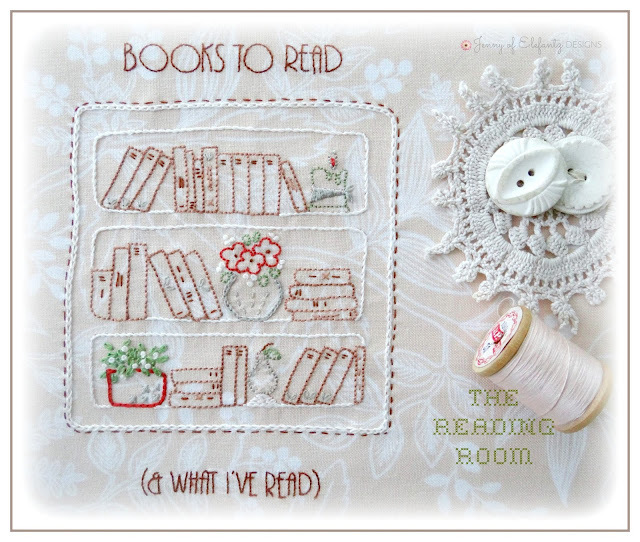 The book lovers design is a fantastic idea. I have kept a book of every book I have read each year for over 30 years and it is quite interesting to look back at what interested me over the decades. Glad the weather is more tolerable for you and that you are enjoying getting out and about with hubby. Hope you are migraine free for a long time. Train her young....grin...such a cutie! What a cutie little Cully May is! I have a new GrandDaughterStitches, who is four months now. So precious. Both the drive and the country look wonderful. I'd so love to experience those myself! Cully May is adorable, and already smart enough to know that veggies are the best thing for you! Thank you for the peek at the April stitcheries. Such lovely thoughts you have! 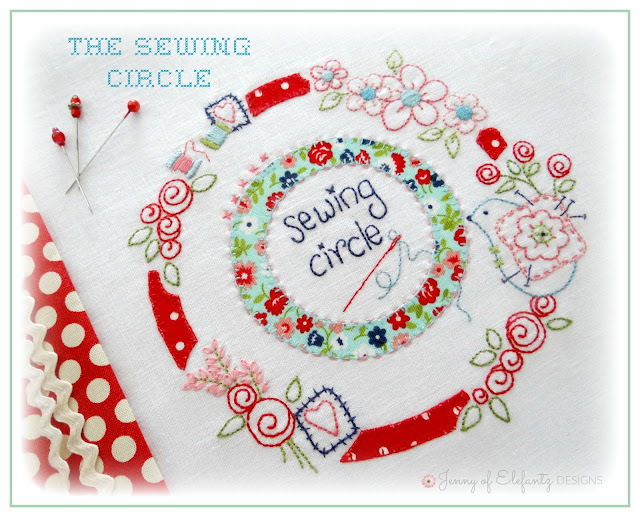 Jenny, where can I buy the Sewing Circle pattern? 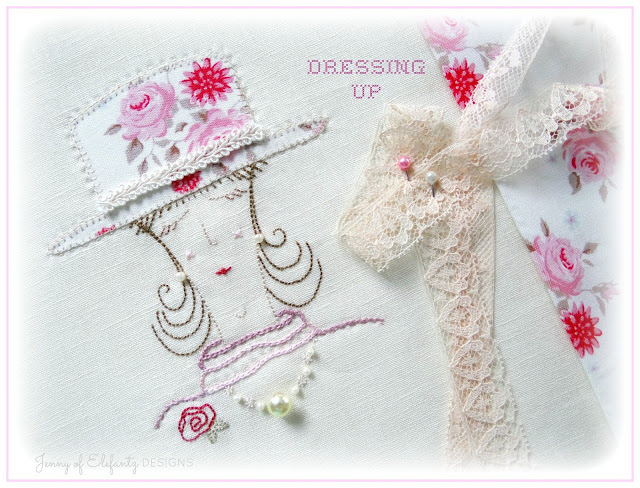 What a gorgeous, beautiful doll - enjoy! You have the most beautiful of the secretaries !!! Is this the secret of your beautiful work? Hugs. That's it, I need a secretary - just like Cully May!!!! Oh what a doll she is, Jenny. Love all these new projects too!